The prime minister's spokesman said the data was "clearly disappointing" but the economic fundamentals "are strong". Ahmed: Why is economic growth so poor? "As recently as last week markets were pricing in a near 90% chance that the Bank of England would raise rates next month... today the market's saying there's just a 25% chance that rates will move in May." Now, GDP figures are often revised and there will be some bounce back. 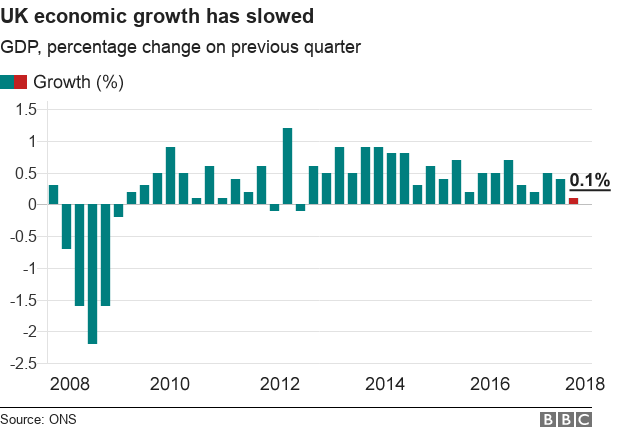 But the more worrying factor is that construction is deep in recession, manufacturing's spurt of growth is slowing, and consumer-facing service companies are not as full of the joys of spring as they were. 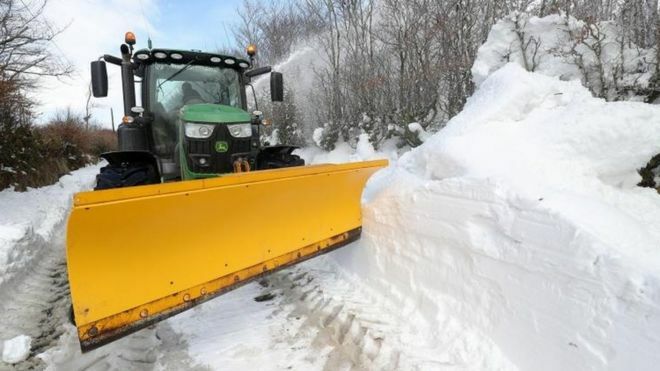 Despite the weak figures, some economists suggested the slowdown could prove to be temporary, noting the one-off impact of this winter's weather. "It's clear to everyone except Philip Hammond that our economy is in need of increased investment and working families are struggling with the cost of living and the burden of increasing household debt."